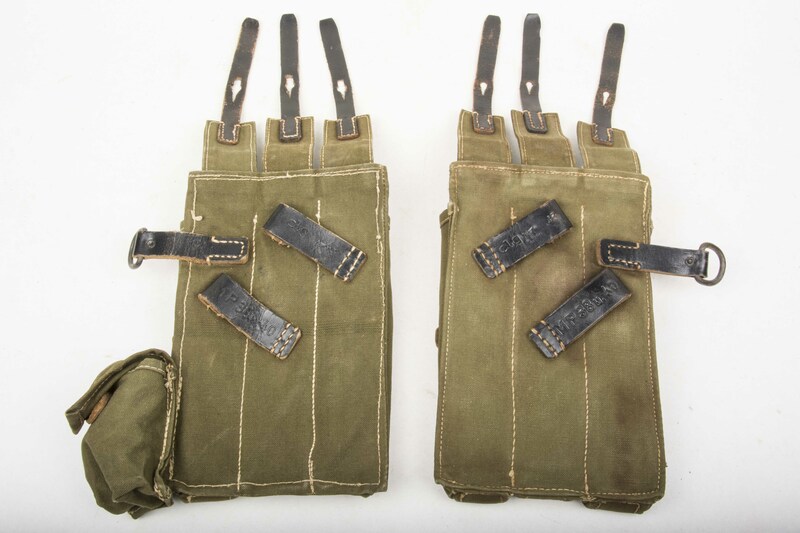 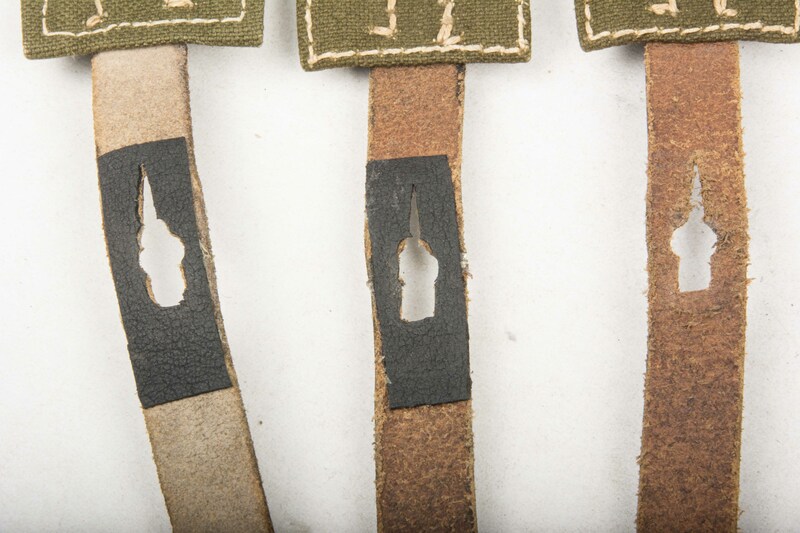 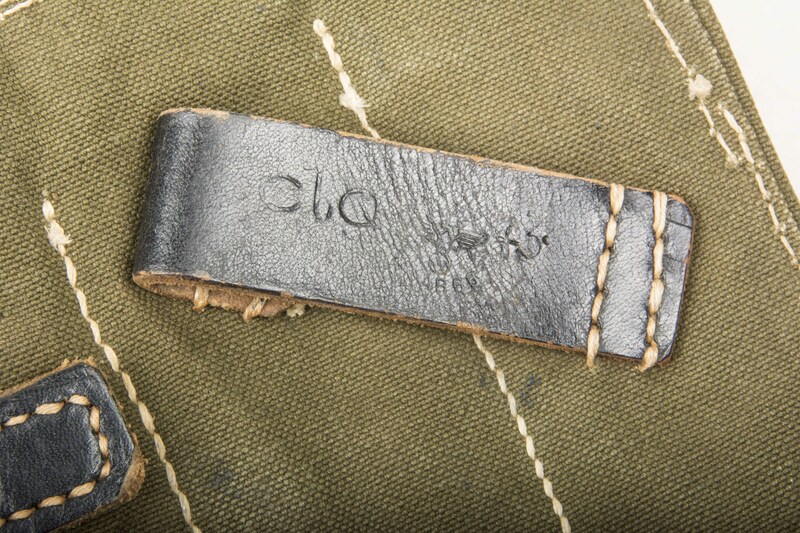 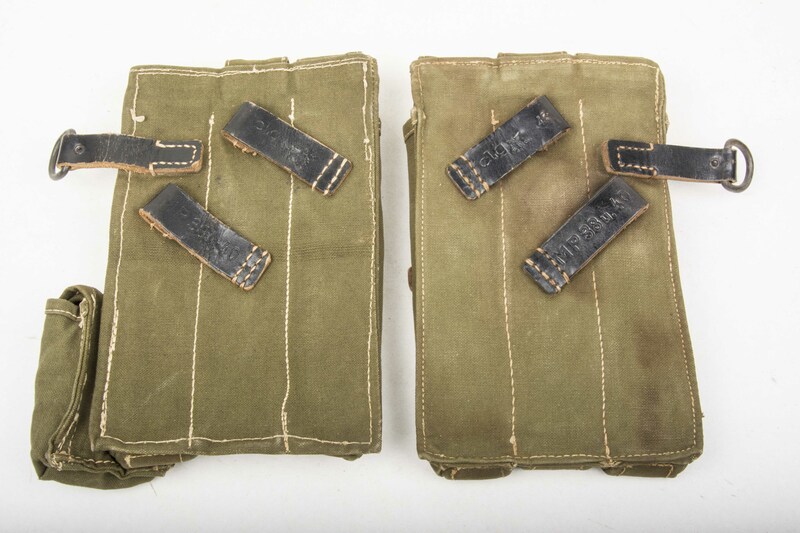 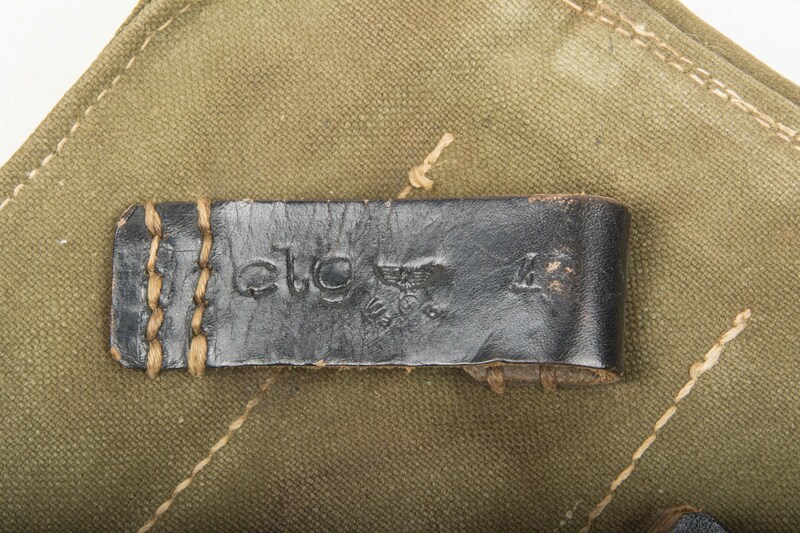 A matching pair of MP40 magazine pouches marked CLG43. 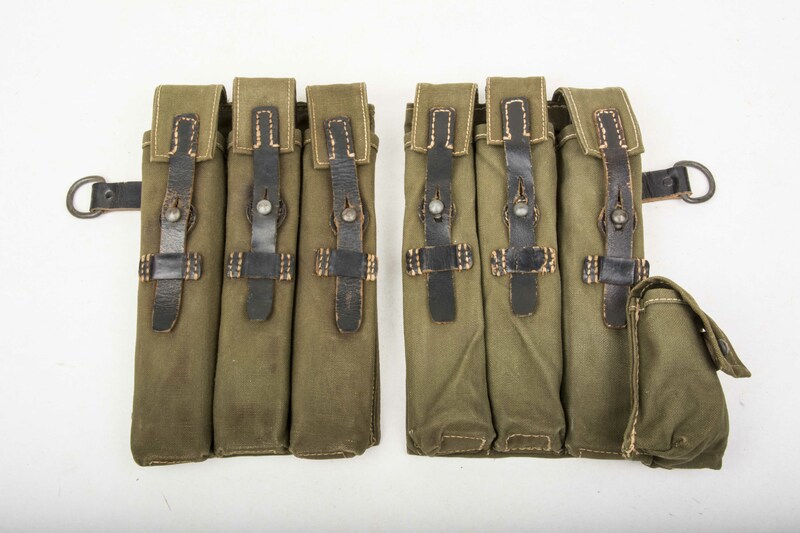 The pouches have some soiling and are in lightly worn condition. 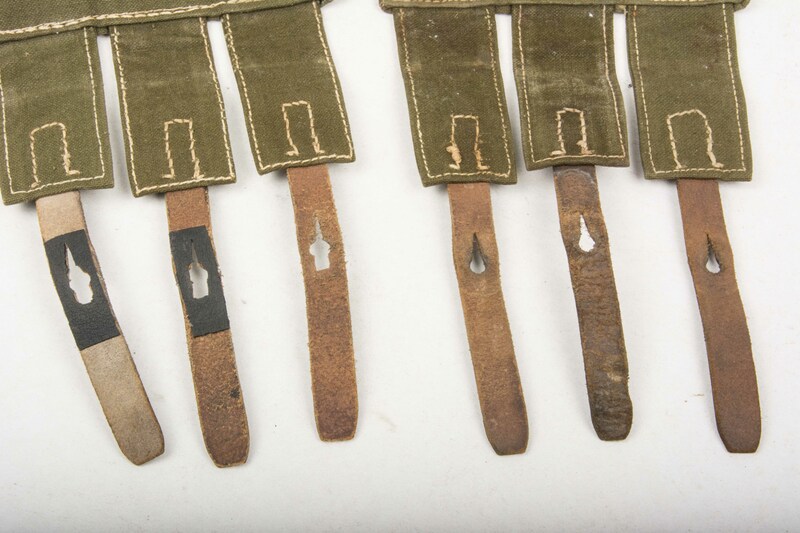 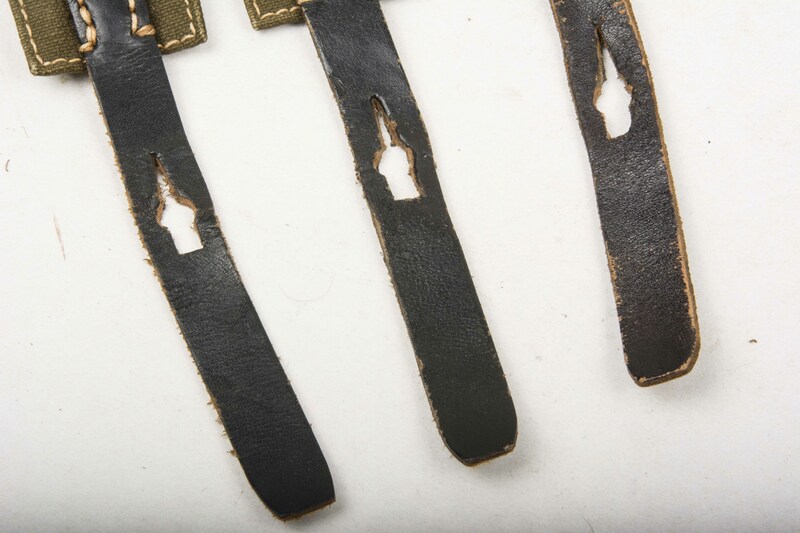 Two of the closing straps on the right hand pouch have a restoration to the back, please see the pictures for details. 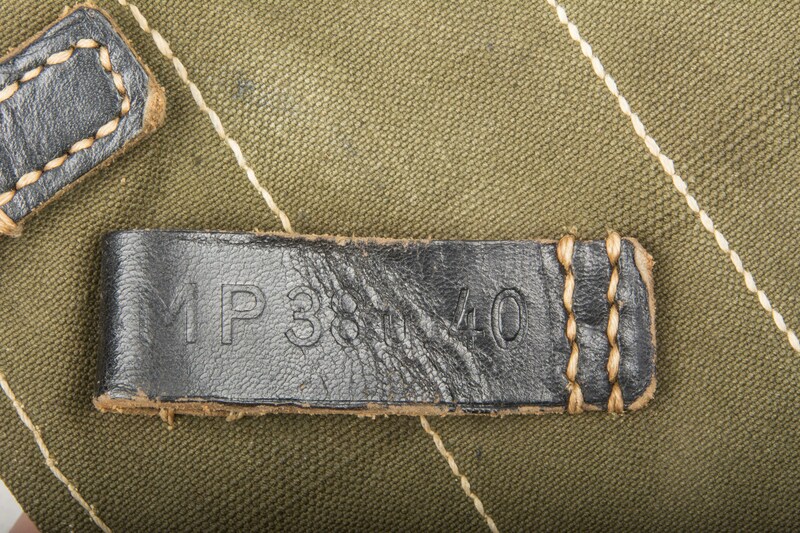 If you are looking for a affordable pair (!) 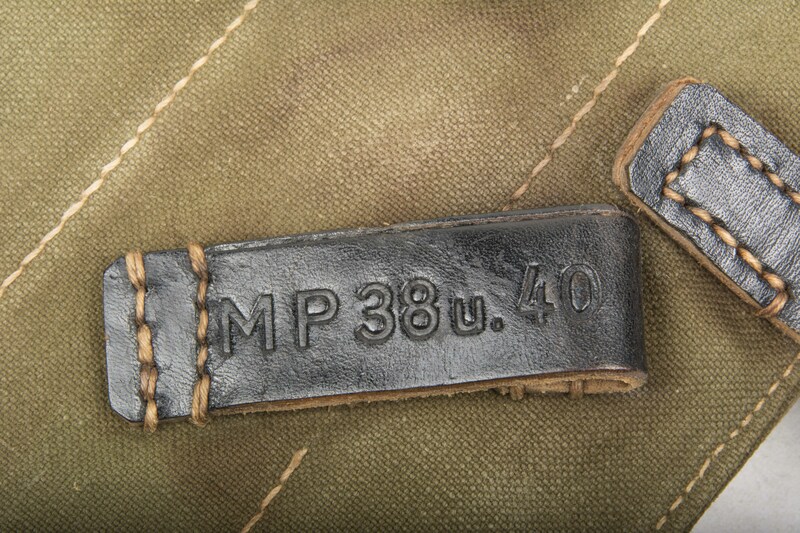 of green Mp.38 U. 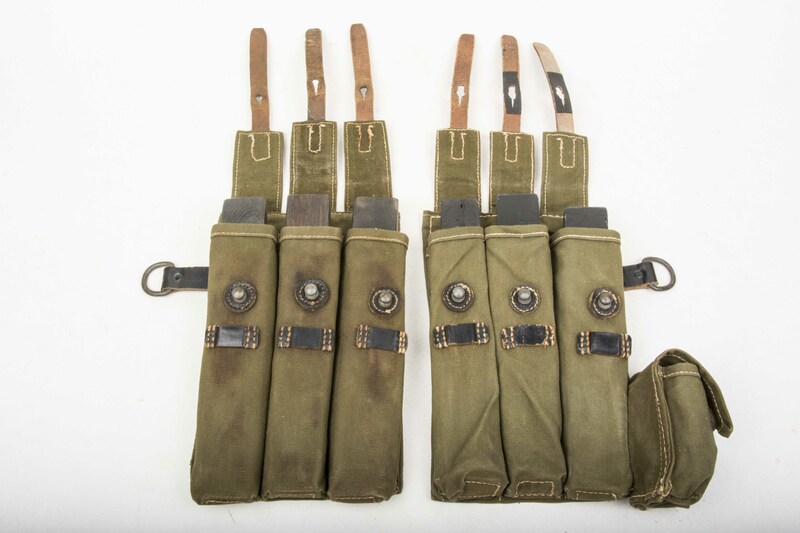 40 pouches this is it!